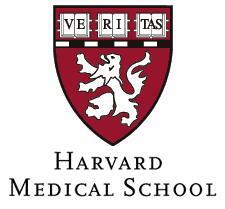 My main appointment is at the Harvard Medical School - Children's Hospital. By using a state-of-the-art lattice light sheet microscope (LLSM, https://goo.gl/1mSNpU), built in collaboration with Eric Betzig, my current research focuses on the processes that mediate the uptake of naked viruses like VSV and JCV, their displacement throughout cells, and their association with the different cell compartments. The LLSM, used in combination with object-identification algorithms, now allows sufficient temporal and spatial resolution to follow the life of a single virus and to unveil the viral infection pathway. I am in charge of the use and implementation of the LLSM, and the development of Image Processing routines for sub-cellular tracking and segmentation using Matlab. My second appointment is at Massachusetts General Hospital, in collaboration with Professor John Higgins, MD and Professor Carlo Brugnara, MD, where my research is dedicated to the development of material technologies for mimicking the environment of the circulatory system in vitro. In addition to the organ-on-chip fabrication, I am interested in performing quantitative measurements of other physical characteristics of cells, such as volume, protein mass, and oxygen tension. Resolving the distribution of different measured parameters enables better understanding of not only mean values of a cell population but also subtle differences in the response of each cell to its environment, genetic differences, and exposure to small molecules (http://goo.gl/mDIRUP). My main skills are in optical imaging systems, optical design, wide field microscopy, light sheet microscopy, microfluidic fabrication and image processing. I have designed and built optical interference microscopes, hyperspectral microscopes based both on absorption and fluorescence spectroscopy, as well as imaging flow cytometry systems for single cell analysis. I am also acquainted with fluorescence staining procedures for leucocytes, erythrocytes and leukemia cells.